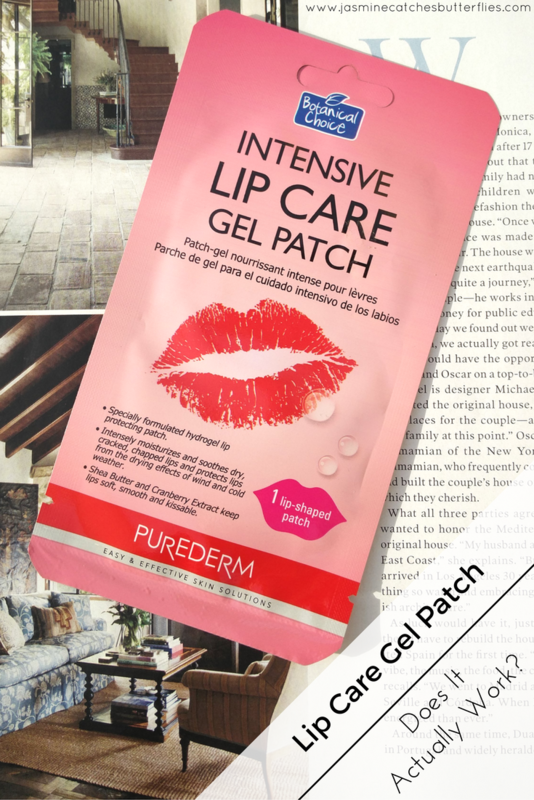 Gel Lip Patch And Sleep Mask – Do They Really Work? There has been a surge of Purederm products in local supermarkets and most of them seem so intriguing that I just want to try them out for the sake of it. So a couple of months back, being a skin care junkie, I picked up an Intensive Lip Care Gel Patch and a Dual Step Aqua Sleeping Mask at Naheed. 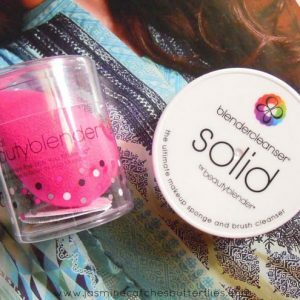 It has been a while since I have used them already but I just could not get around posting this review. 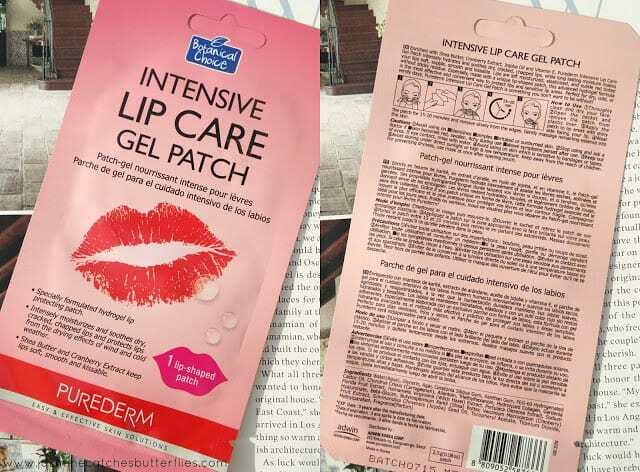 Based on what I have seen online so far, the lip care gel patch was liked by quite a few people but I have not heard anything about the latter. So, the question is do they really work? 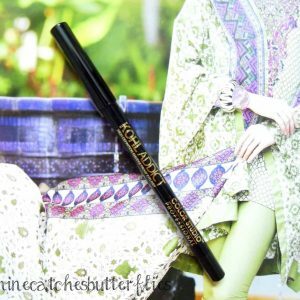 I do not have any major lip care concerns but it does take some maintenance to keep them supple even throughout dry weather conditions. I like the concept of gel masks in general as the sheet of gel holds and locks the product against the skin. This encourages the transfer of the key ingredients into the skin without them being lost in the atmosphere when the mask is still on. 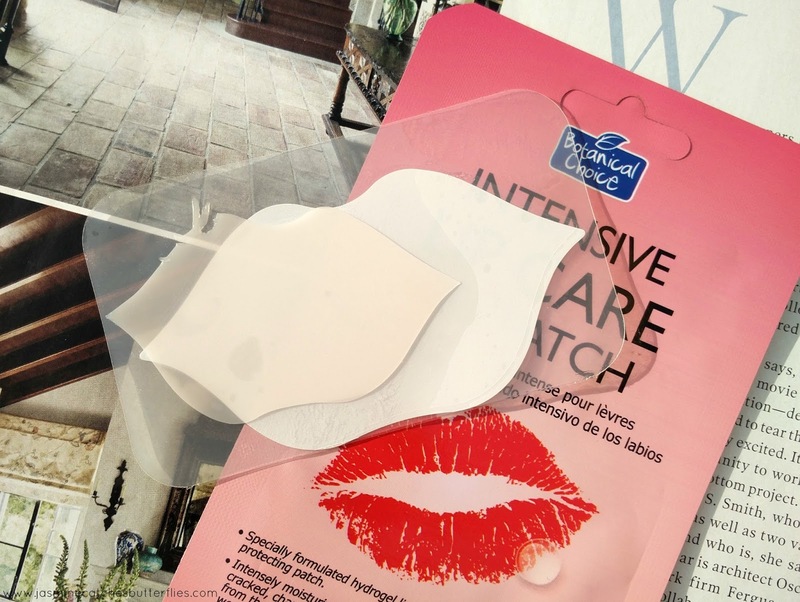 This lip care gel patch is enriched with Shea Butter, Cranberry Extract, Jojoba Oil and Vitamin E. It has a shape of emoji lips rather than realistic ones but it still managed to completely cover my lips due to its size and elasticity. It comes in a packet between two sheets of plastic that have some essence to keep the patch moist. You can see two lips in the first photograph but the smaller one is the actual patch while the another one is only a paper cutout. The gel patch that I got had a slight tear in the top corner but it did not make any difference in its application. So to use this gel patch, I peeled the plastic sheets apart and after making sure that my lips were clean and dry I pressed it against my lips. It adhered on its own by creating a slight suction which I must say that I found a little uncomfortable and since I had to keep it on for 20-25 minutes, it was not the most pleasant experience. Now this mask is not supposed to be used on irritated skin or pimples and I had neither when I used it but it still slightly burned around the edges. It certainly made my lips to look red and fuller by plumping them up. However, I could not see any of the difference that it actually claims to make. In fact, I did not really find it to be hydrating and instead my lips felt drier after using this. The Intensive Lip Care Gel Patch is a single-use, disposable product and in my opinion, it turned out to be a fail. It did nothing for my lips as I was not looking for lip plumping. So, it does not work at all as far as moisturization goes. I have a reptilian skin, no surprises, therefore, whatever products claim to deeply moisturise are mostly likely to make it to my shopping cart. Hence, this was less of an impulsive purchase in comparison to the Lip Care Gel Patch. The packet contains two separate products, one is a peeling gel while another is the sleeping mask itself. 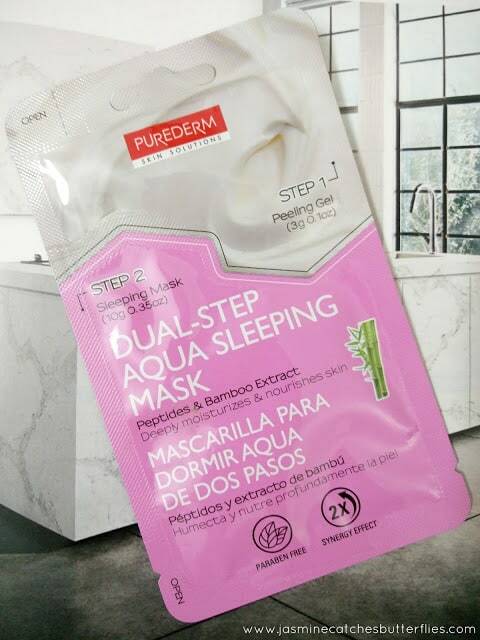 Prior to applying the sleeping mask, you are supposed to use the peeling gel to make sure that your skin is completely clean and free from any dirt or oil. I just gently rubbed the peeling gel into my skin like a cream and it immediately peeled off on its own in form of tiny particles. Then I slathered on the sleeping mask onto my face, which is a thick cream, and went to bed. The mask absorbs into the skin overnight rather than immediately which is a given. However, my only gripe due to this is that since I am used to of sleeping on my side it can easily get wiped off on my pillowcase. Therefore, I had to make an effort to sleep on my back with this on. The next morning my skin was visibly plump, well moisturised and soft to touch. The packet lasted me three nights and the sleeping mask was actually in a far generous quantity than the peeling gel. The brand advises using this mask regularly to see lasting results and improvement in skin condition so I am looking forward to getting some more packets. I am glad that this product was not a disappointment like the previous one and provided a better value for money too. Since I bought these a while ago, I am not certain about the pricing of either of these products but they were in the range of 100-300 PKR for sure. I have tried other Purederm masks in the past and never really had a bad experience or an adverse reaction before. You can see their review here. Let me know your thoughts and experiences too!